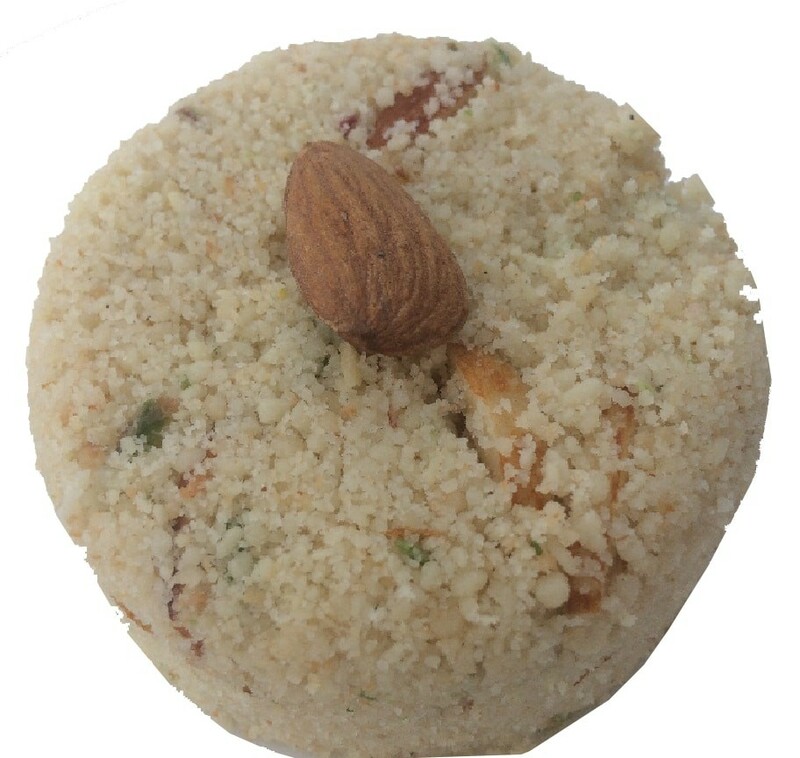 Buy Badam Churma of Laxmi Mishthan Bhandar from Jaipur online | Authentic Indian Sweet , Savories and Delicacies from the place they originate by Moipot. When life gives you jaggery, make churma out of it! Coupled with dal-bati, churma ka ladoo is an unbeatable dessert and also a healthy one. Badam (almond) churma by Laxmi Misthan Bhandar (LMB) will have you exclaiming praises at every bite. Loaded with crushed almonds gives it a crunchy yet smooth texture, making it a legendary dessert.